Spectacular 50th Anniversary 2017 1/10-oz Gold Krugerrands! 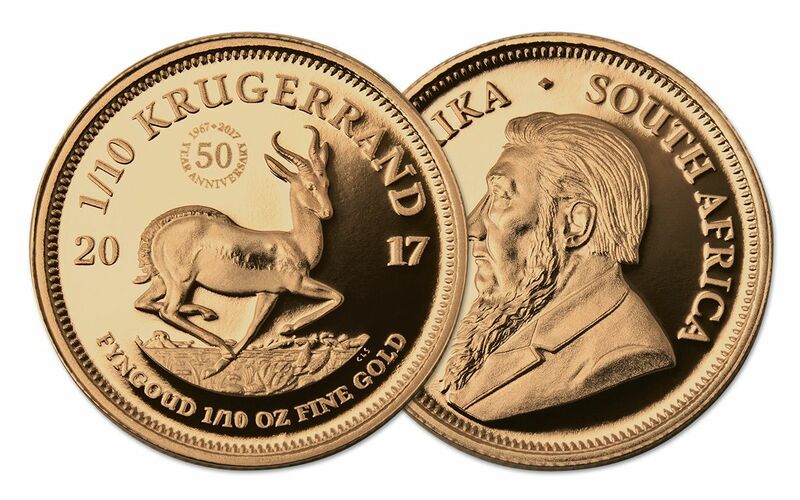 As part of the Gold Krugerrand 50th anniversary celebration, the South Africa Mint is releasing this special 50th anniversary year tenth-ounce Gold Krugerrand Proof! 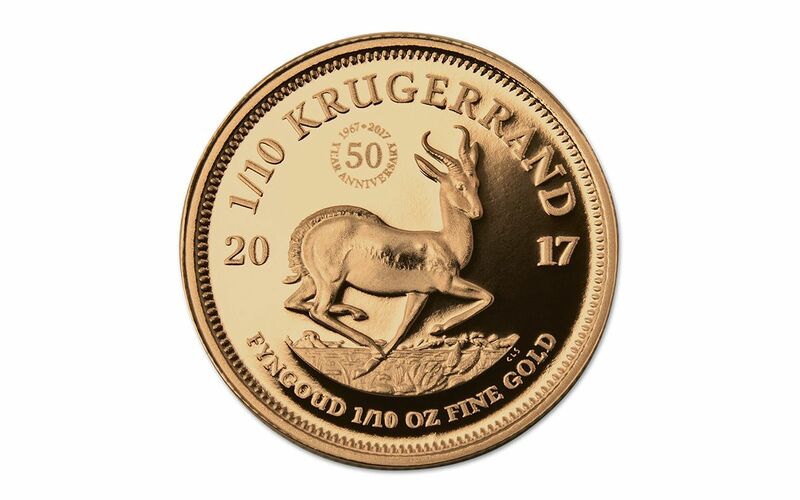 Just like standard bullion Krugerrands, these 1/10-oz Gold Krugerrand Proofs are official South African legal tender struck in 22 karat gold -- but unlike the standard Gold Krugerrands, each of these coins has been struck by the famous South African Mint just for those seeking to add this year's Krugerrands to their private collections. 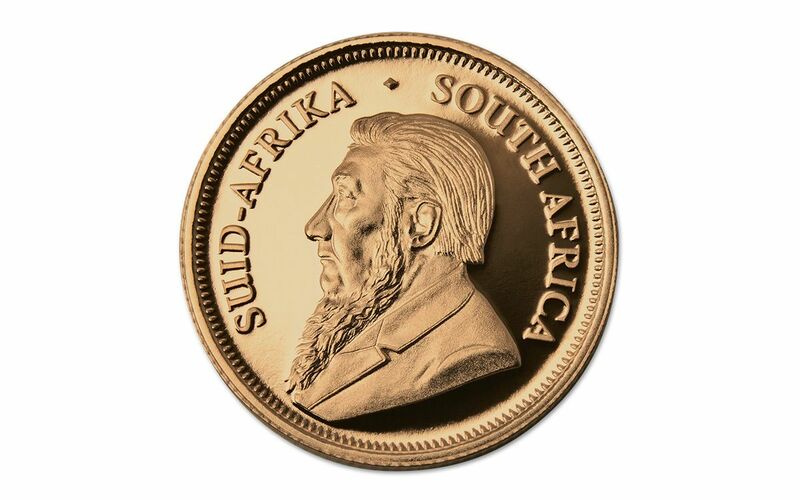 Using specially prepared and polished dies, the artists at the South African Mint struck each coin multiple times, resulting in frosty designs that hover over shimmering fields for a level of detail and eye appeal not found in typical circulating coinage. Plus, all of these fantastic proofs have been struck with a very special mint mark celebrating the Krugerrand's 50th anniversary! Each gleaming 1/10-oz gold proof comes with an officially numbered mint certificate of authenticity and mint authorized packaging. To get this historic 50th anniversary year proof, you'll need to act fast -- only 15,000 will be minted. Order yours today!